Reasons for concern: This plant is a prolific seed producer. It can quickly take over both disturbed and managed areas, outcompeting native species and reducing plant diversity and wildlife habitat. 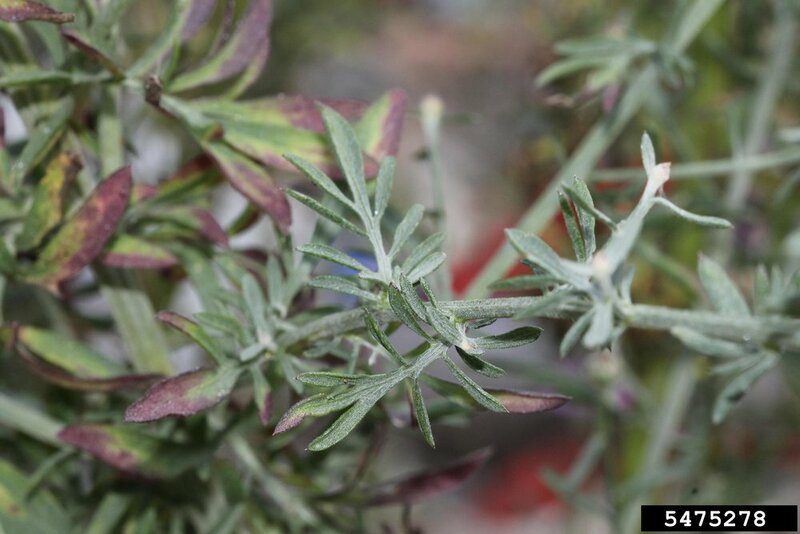 It also contains allelopathic (toxic) chemicals that suppress the growth of nearby native vegetation. 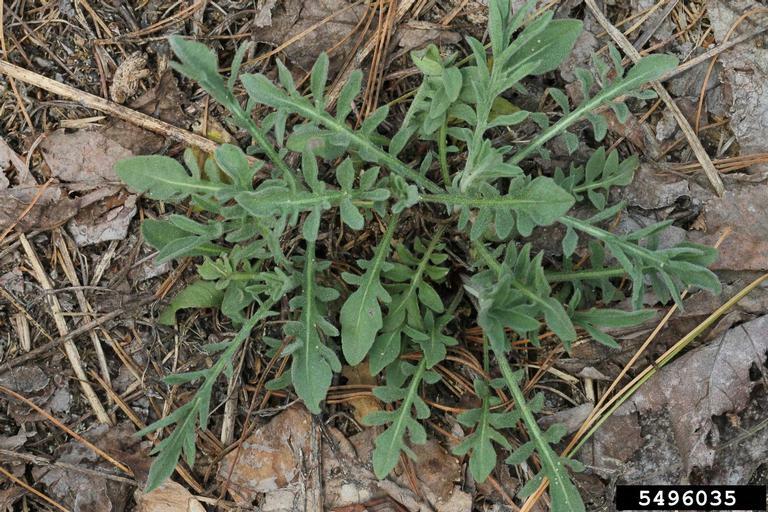 It is not as common a problem in Flagstaff and Northern Arizona as diffuse knapweed but whenever it is located it should be eradicated immediately to prevent spreading. Classification: Non-native. 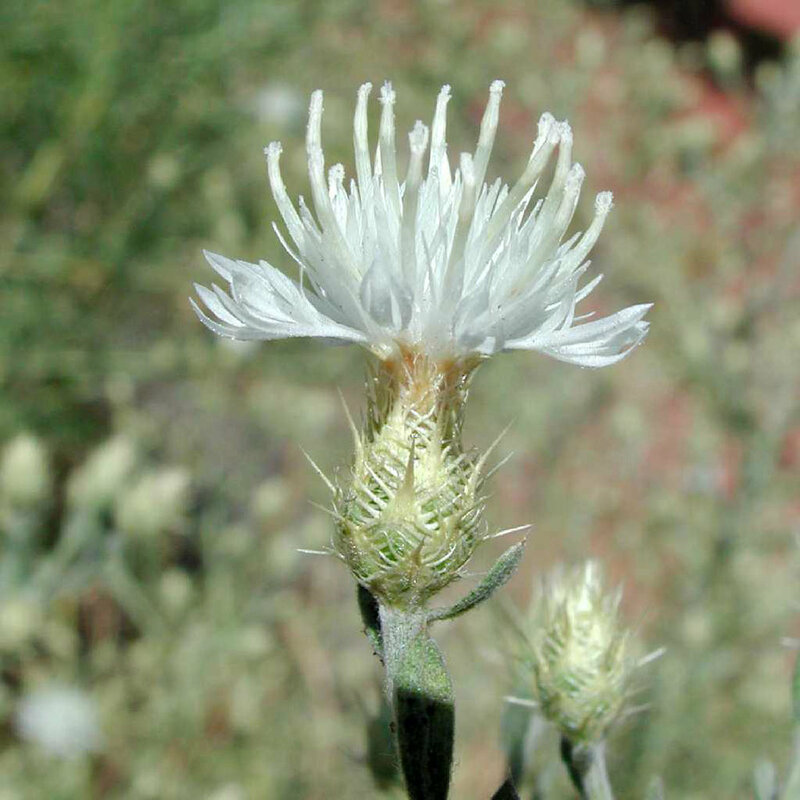 Included on the Arizona Noxious Weed List as Centaurea maculosa. Botanical description: Extremely competitive, tall, branching herbaceous plant. Leaves: Rosette leaves deeply lobed, coarse, emerging from central point above taproot. Pale greenish-gray. Leaf 1 to 3 inches long, decreasing in size toward tip of stem. Stem(s): Stems slender, erect to 4 feet, sparsely to densely hairy. Alternate along the stem. Majority of branching on upper half of plant. Flowers: Blooms from June to October. Flower heads usually remain on mature plant. Pink to purple, or rarely white, solitary flowers above bracts (modified leaves). Bracts have black edges which look like spots at tip, hence the name. 25 to 30 flowers per head. Seeds: Large plant can produce up to 25,000 seeds. Up to 90% of seeds are viable at time of dispersal and remain viable for 5 to 8 years. Where it grows: Likes sun or partial shade. Waste areas, dry meadows, pastures. Does not compete well with vigorously growing grasses in moist areas. Elevations 1,900 to 10,000 feet. 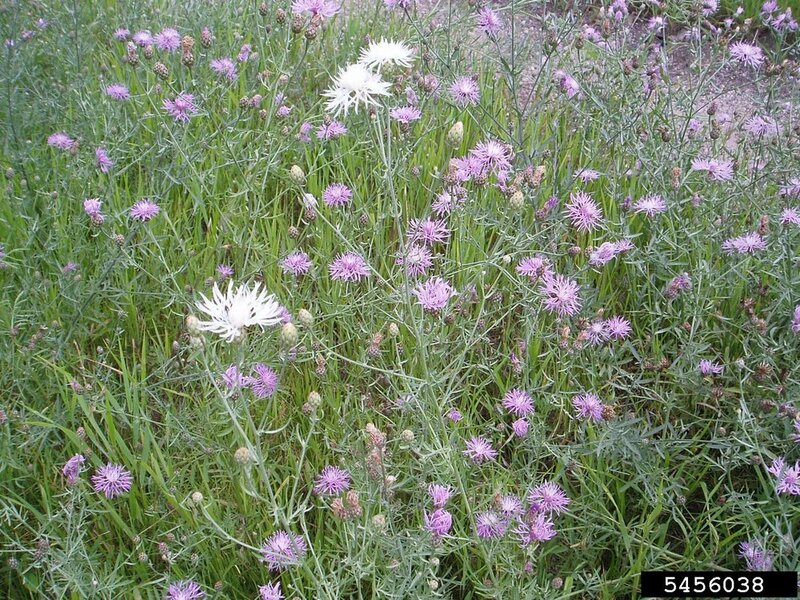 Weedy characteristics: The deep taproot of Spotted knapweed can access moisture deep in the soil. It can regrow from the base when cut. It is highly competitive and aggressive, and forms dense colonies. Allelopathic (toxic) chemicals cause it to choke out native vegetation. Seeds are prolific and hardy and are readily dispersed by people and vehicles. 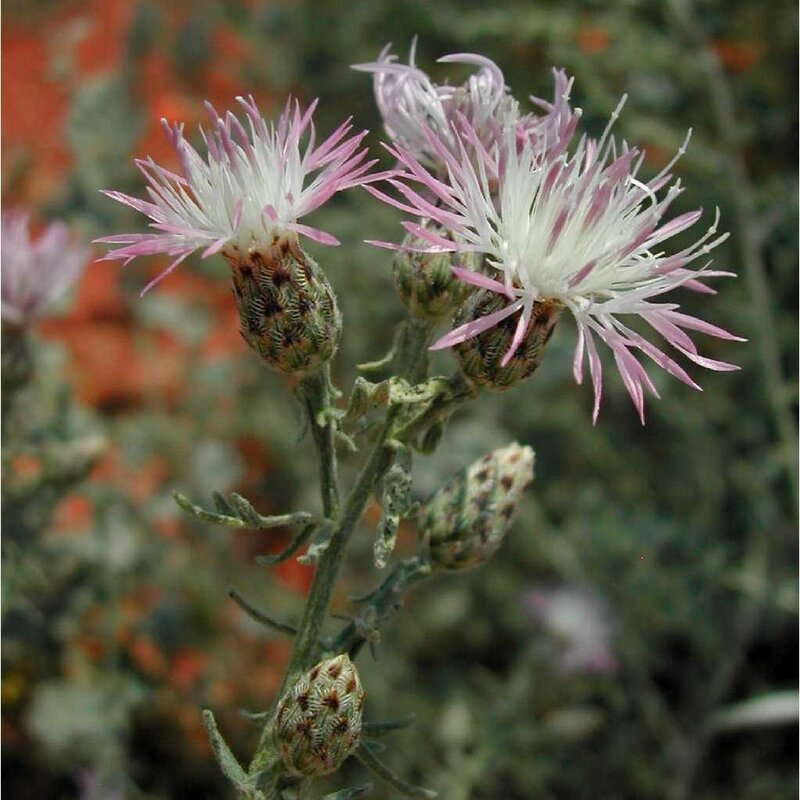 Look-alike non-native plants: Spotted knapweed can be confused with diffuse and Russian knapweeds, both of which need to be eradicated. Control strategies: Removing the entire plant before they go to seed can help with small populations. 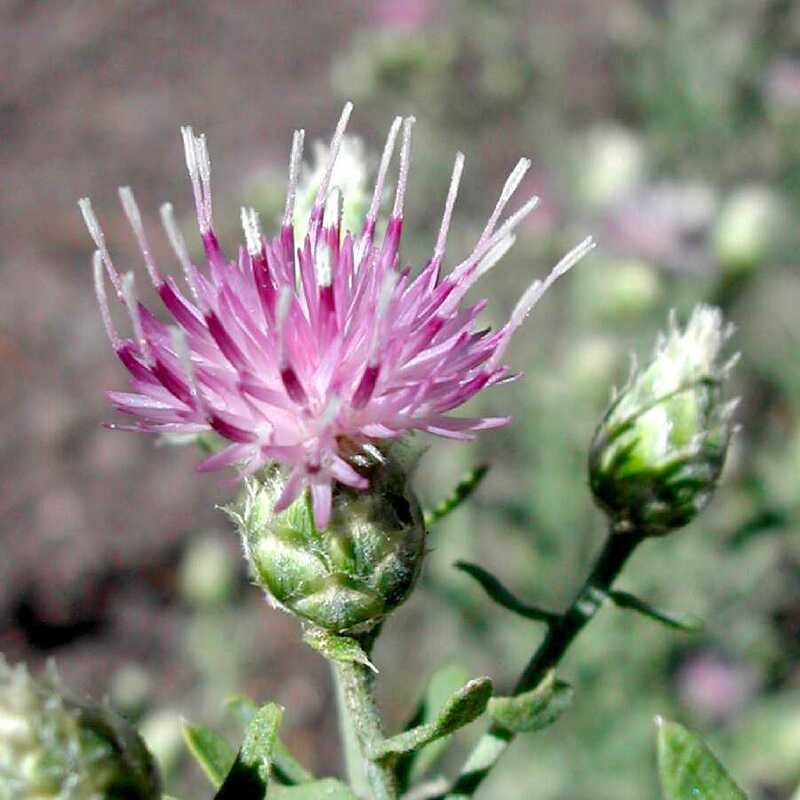 Always wear gloves when handling as it is thought that Spotted knapweed may contain a cancer-causing substance. Try to get as much of the roots as possible. Step down any loose soil. Frequently monitor previous infestations for new growth. Because seeds are long lived in the soil, pre-emergent herbicides can reduce new populations. If the infestation is dense, contact a professional as repeated use of herbicides may be required. Contact your local county extension office for more information on chemical control.